A new station for a region on the move. One stop closer to a more connected GTHA. The new Confederation GO Station in Stoney Creek will provide Hamilton with more transit options and better ways to access them. The station will have ample parking for both vehicles and bikes as well as a passenger drop-off and pick-up area, keeping your commute as easy as possible. You’ll also enjoy modern waiting areas complete with heated shelters and retail options. GO bus service will also be offered at the station, connecting you to more places better, faster, and easier. The station will have a new bus loop, and a new bus shelter and exterior lighting system for your comfort and convenience. Confederation GO station will be accessible via a multi-use path from Centennial Parkway and will feature an accessible island platform, complete with pedestrian tunnel and elevator access. Regular, two-way weekday service between Confederation GO Station and Union Station also brings us one step closer to our expansion of GO Train service into the Niagara Region. Want to learn more? 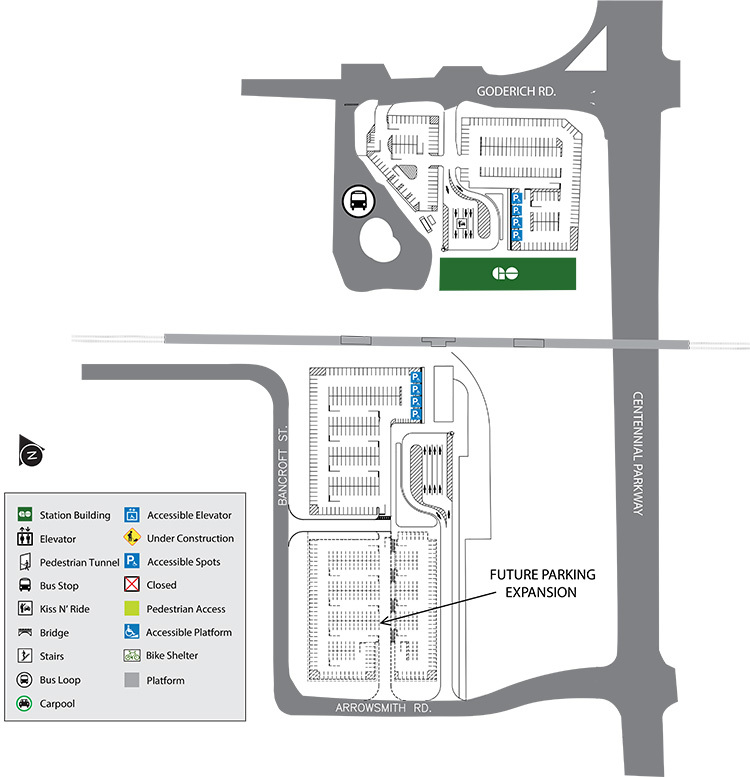 Email us at Confederationstation@metrolinx.com. For updates during construction at the station, please visit gotransit.com for information.